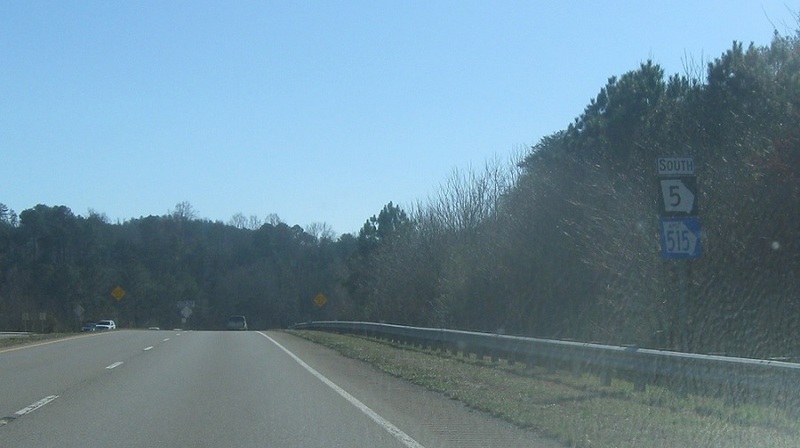 Reassurance shield for the east/west routes after Georgia 52 as we enter East Ellijay. And for the north/south roads. 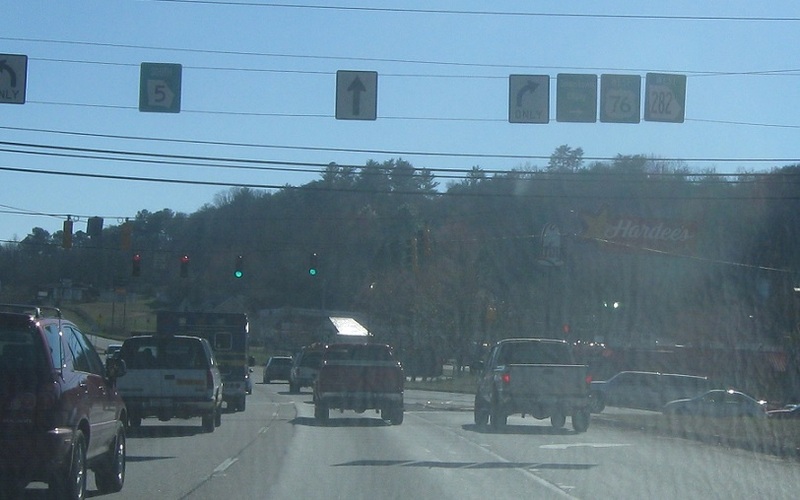 Shortly thereafter, Georgia 5 and 515 will split without much advance signage. Keep left for 5/515 south. 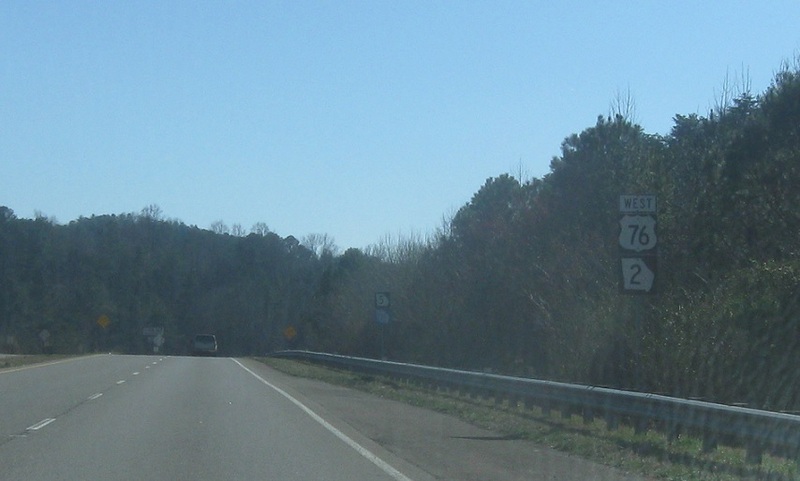 Turn right for US-76/SR 2 west, as well as SR 282 west which randomly begins here as if there needed to be another highway.